“Evidence suggests that there is not an ideal percentage of calories from carbohydrate, protein and fat for all people with diabetes; therefore, macro-nutrient distribution should be based on individualized assessment of current eating patterns, preferences and metabolic goals.” Those metabolic goals should include: optimal blood glucose control, improvement in cardiovascular health, and, if possible, weight loss. In other words, managing those foods that raise blood glucose the most, carbohydrates, will lead to the best possible glycemic control. Studies show that for many, a low carb approach is more effective than a low fat approach in terms of weight loss, greater blood sugar control, and improved cardiovascular health, especially when combined with a whole food approach. Therefore, since lowering fat intake did not improve cardiovascular risk factors, but lowering carbohydrate intake did, doesn’t it make sense to encourage this approach? If you have tried other dietary approaches to controlling your diabetes, and felt they were not effective, the low carb-whole food approach may be beneficial for you. In the past 8 years, I have made this an area of intense research for myself, reading dozens and dozens of nutritional books, pouring over hundreds of nutritional studies and listening to numerous expert lectures. In the process, I have used myself as a human nutritional “guinea pig,” testing these nutritional theories out on myself. I have very much in common with many other people with Type 2 diabetes, and those with metabolic disorders, not to mention a strong genetic pre-disposition to Type 2. Weight loss and gain is governed predominantly by hormones, insulin being one of the master hormones involved. When insulin is present in abundance, it is very difficult to lose weight. Insulin’s presence tells the body to stop burning stored fat, and also signals the body to store excess incoming carbohydrates as fat. One logical way to stop this action is to consume the foods that do not require large amounts of insulin to process. This also helps regulate blood glucose levels. The food that requires the greatest amount of insulin to process in the diet is carbohydrates. Carbohydrates cause blood glucose to rise sharply, which causes the body to make insulin to lower the blood sugar once again. The only logical way to reduce insulin in the body is to reduce those foods that cause the need for insulin, that’s right, reduce carbohydrates. This is the primary way to promote weight loss and improve blood glucose control. Reducing Carbohydrates With Diabetes Just Makes Sense! Some plans being suggested to diabetics have upwards of 240g of carbohydrates daily (4 exchanges per meal for 3 meals, 2 exchanges per snack, for 2 snacks). Normal sugar in the blood represents approximately ONE TEASPOON (or 4g) of sugar. So, 240g of carbohydrates is equal to nearly 60 TEASPOONS of sugar. This EVEN applies to “complex” carbohydrates! The glycemic index is a measure of how quickly certain foods containing carbohydrates will raise your blood sugar. You will see things like green leafy vegetables at the bottom of the list, and things like rice and bread towards the top. For reference, table sugar ranks at about 62. I often encourage ones to eat low glycemic foods. The problem is that the general definition of “low glycemic” are foods that have a glycemic index of 55 or lower. I believe this needs to be redefined. If table sugar is 62, that means that foods that will raise your blood sugar almost as high as table sugar, are considered “low glycemic.” Low glycemic SHOULD mean foods that have very little blood sugar impact. So when I personally recommend lower glycemic foods, I am specifically talking about foods that are VERY low on the chart, those that will cause VERY little blood sugar spike. These include, mostly, your non-starchy vegetables. If you really desire to have fruits, choose those lowest on the chart, like berries. Of course, your proteins and healthy fats are so low glycemic, that they are not typically listed on the charts. The following charts help you understand why it is so important to chose items that have a low glycemic impact. When you eat foods that cause blood sugar spikes, you also create an insulin response to match. Remember, once insulin responds, your body stops burning its own fat, and goes into fat storage mode. Because you’ve created a sugar-insulin roller coaster, you will become hungry again sooner and will crave higher carbohydrate foods. By living a life of glycemic control, you avoid these complications. So, let’s see how a low carb, whole food approach can help both Type 1 and Type 2’s. Isn’t a low carb diet high in protein and fat? A low carb diet is not typically a high protein diet (unless more protein is needed, such as for children, pregnant women, athletes, etc) nor is it a high fat diet, for most people. While protein and fat are obviously increased, the focus mainly is on reducing the quantity and improving the quality of carbohydrates. Fat and protein needs vary for every person and are individualized according to a person’s weight and health goals. Fruit: no more than 1 small serving of low glycemic fruit daily (preferably berries). Starches are vegetables, such as potatoes and tubers, carrots and peas (peas are technically a legume – see below), and other root vegetables (those that grow below ground). Although having some beneficial nutrients, starches are not an ideal choice for people with diabetes. If you choose to eat these foods, do so in very limited quantity. I would recommending avoiding these foods if your blood glucose is not well regulated. Legumes include beans, peas and lentils. Although they have some beneficial proteins, they are high in carbohydrates and contain some anti-nutrient properties (which prevent you from absorbing nutrients) and can cause digestion / gut-related problems. If you choose to eat these foods, do so in very limited quantity. I would recommending avoiding these foods if your blood glucose is not well regulated. If you are on a plant based diet and use legumes for protein sources, I would highly suggest researching appropriate preparation methods (soaking and sprouting) to minimize gut inflammation. Milk (and milk products like yogurt) are high in sugar. Although lactose is a natural “sugar”, your body does not really know the difference. Milk and sweetened yogurts will cause a quick spike in blood glucose. If you do drink milk, it should NOT be low fat / fat free. These often contain undesirable additives to improve texture and flavor to the milk after the fat has been removed. In addition, vitamin D, a fat soluble vitamin in the milk, CANNOT be absorbed without fat. Therefore, drink full-fat milk, preferably a less processed milk that contains the cream at the top. When it comes to yogurt, low fat / non-fat ALWAYS means MORE SUGAR. 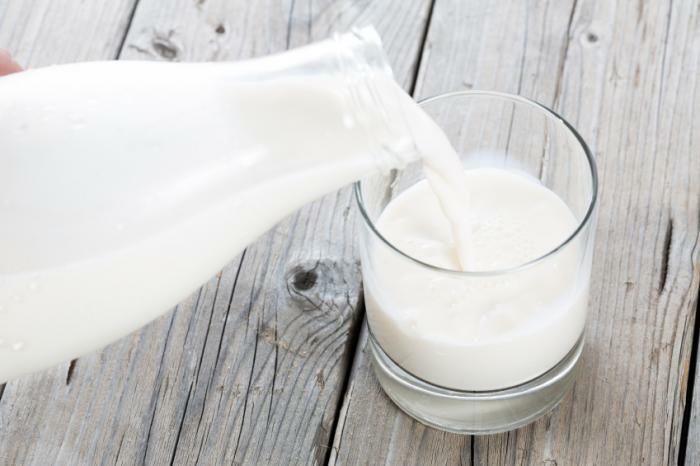 Although having some beneficial nutrients, this type of dairy is not an ideal choice for people with diabetes. If you choose to consume these foods, do so in very limited quantity. I would recommending avoiding milk and sweetened yogurt (If you like yogurt, go for full fat, plain, Greek yogurt.) I have chosen to avoid milk altogether. There is absolutely NO nutritional need for it. It would be ideal to eliminate ALL GRAINS from your diet, especially products derived from wheat and corn. Avoid processed grain products (WHEAT OR WHITE) including, but not limited to: bread and pasta, as well as all corn products, including, but not limited to: corn chips, corn tortillas, corn meal, grits and corn itself. Other grains to avoid include: rice, oats, barley, rye, etc. I STRONGLY discourage ALL grains. I have chosen to be completely grain free. There is absolutely NO nutritional need for them. Unfortunately, there is no “one-size-fits-all” answer to this question. Everybody has differing levels of tolerance with carbs. It also depends on your level of physical activity and metabolism. But It has been the thinking in the medical community for decades that your body requires 130g of carbohydrates per day to maintain brain function. This is NOT true. Your brain needs GLUCOSE, not CARBOHYDRATES. Your body is fully able to produce all of the glucose it needs for healthy brain function. There is no such thing as an essential carbohydrate. But this doesn’t mean that I recommend NO carbs. NO carbs means NO vegetables. I certainly don’t agree with that. Many have found an average of 50g per day to be safe and effective. If you are physically fit, active and have normal weight, you may be able to tolerate slightly more carbohydrates than this. If you are not physically active, are overweight, have hypertension or dyslipidemia (cholesterol issues), you may need to reduce your carbohydrates further. This low carb approach has been used successfully for decades, even with less carbs than recommended above. *Note: keep in mind that lowering your carb intake may affect the level of diabetic medications needed. Many have eliminated the need for some of their medications. In the meantime, continuing on the same medication regimen may cause you to experience low blood sugar levels. Reduce your carbs slowly and work closely with your healthcare team. Test your blood glucose frequently and advise your primary healthcare professional if you feel your medications need to be adjusted. This may be the same for medications you are taking for your blood pressure. As mentioned, every person with diabetes is different in their ability to tolerate carbohydrates. The ONLY way for you to know your level of carbohydrate tolerance is to test your blood glucose frequently with a blood glucose meter. How do I define NORMAL blood glucose? “Diabetics are entitled to the same normal blood sugars as non-diabetics.” – Dr. Richard Bernstein (a Type 1 diabetic himself for about 60 years). These goals can be achieved by many of those with diabetes when focusing on lifestyle management, versus medical management only. I have helped many, including myself, to achieve these “non-diabetic” goals. These goals are quite different than the goals set by most diabetes organizations for people with diabetes. But their goals WILL NOT protect you from the long-term complications of diabetes. And they will not lead to a high quality of life RIGHT NOW. Remember, this book is about optimal blood glucose control. Not just about following the current guidelines and having your diabetes worsen year after year. Many are able to halt or reverse their disease process with the above guidelines.